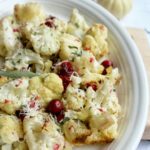 This mouth-watering Roasted Cauliflower and Cranberry with Sage Butter and Black Truffle Oil is slowly roasted to bring out nutty wholesome flavors then drizzled with balsamic reduction dressing. 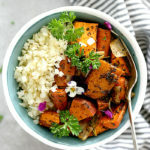 You will want to include this amazing roasted cauliflower powerhouse vegetable into your weekly diet for sure! The connection between cauliflower and cancer prevention should not be surprising. Cauliflower provides special nutrient support to detox the body and it is an antioxidant and an anti-inflammatory. Yay Cauliflower! I will admit, I do not eat cauliflower very often, but after my mother-in-law was in a serious car accident, I became a fan. I wanted to bring her a meal that would help in her healing process, and so I researched foods to help with reducing inflammation. Ta-da – this happened as a result. 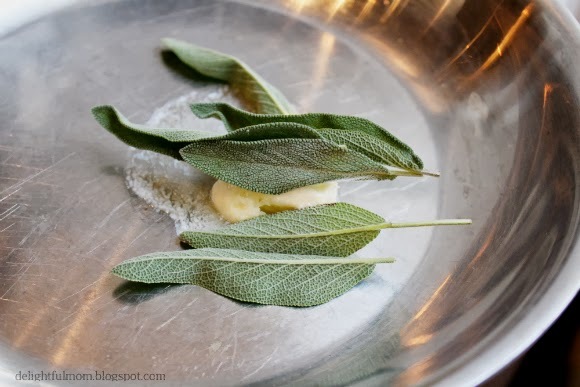 Sage and butter go so fragrantly together. 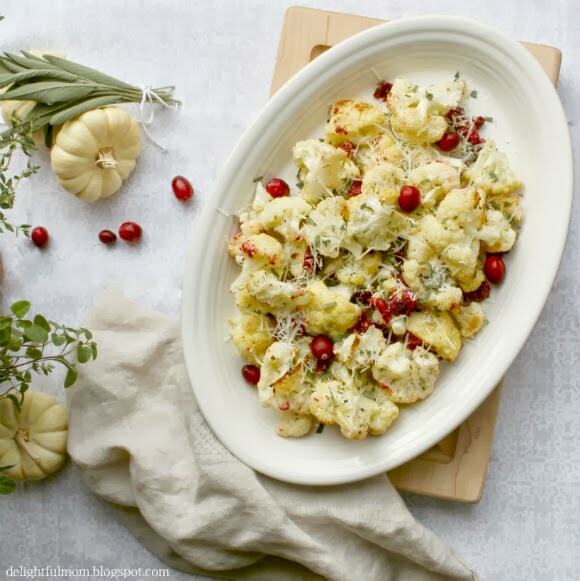 Toss roasted cauliflower and cranberries with black truffle oil and you have quite a party! The Balsamic Reduction dressing is just frosting on the cake. Put 2 cups of balsamic vinegar in a skillet. Simmer on low for about 30-40 minutes until it becomes thick. Remove from heat and set aside. 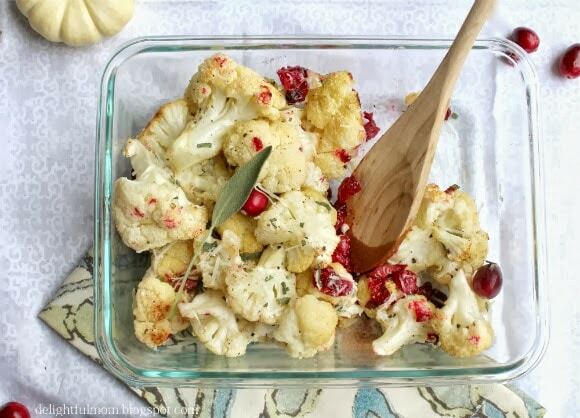 Place cauliflower and cranberries on a baking sheet lined with parchment paper. 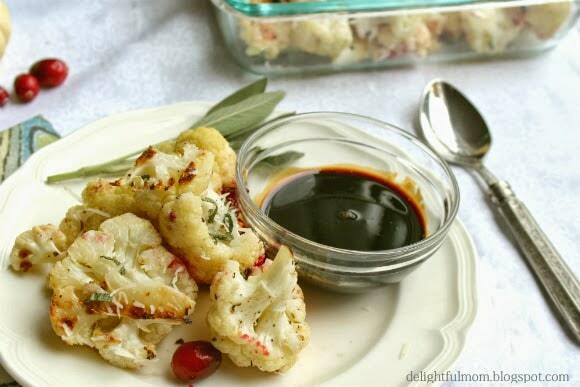 Drizzle 2 tablespoons of truffle oil over both cauliflower and cranberries. Sprinkle with salt and pepper. Cover with foil and roast in the oven for 20 minutes. 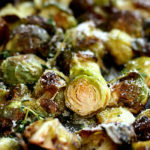 Remove foil and roast for an additional 10 minutes or until slightly browned. While vegetables are roasting, make your sage butter. In another skillet heat 1 tbsp butter on low and add sage leaves only. Mix for about 5 minutes on low until sage becomes fragrant, and to slightly brown the butter. When your vegetables are finished roasting, put them in a large bowl to combine. Pour sage butter over the vegetables including the leaves (we will remove the leaves soon, but this adds flavor). Mix gently. Remove and discard the whole sage leaves. Now add 1 tbsp freshly chopped sage leaves and stir to combine. Garnish with fresh Parmesan. 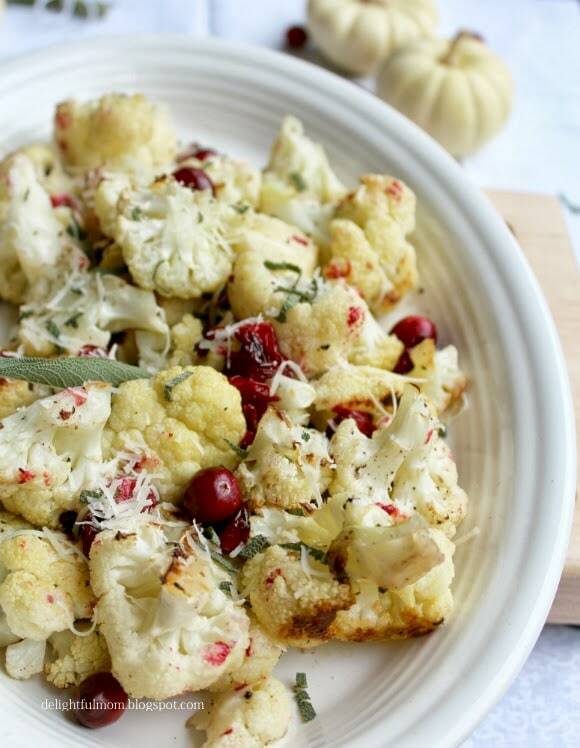 Serve the roasted cauliflower and cranberries warm and with the balsamic reduction drizzled on top..
curious what brand of black truffle oil you use, and where you buy it. I have never used. thanks! La Tourangelle Black Truffle Oil (can be found at Whole Foods) is a good brand. Trader Joe's carries a seasonal Black Truffle Oil – olive oil base, which is what I used. Thanks Molly! I just pinned your link to share you great round-up with others! Could this be made in a slow cooker? It sounds very delicious. Maravill, I think this is best roasted. 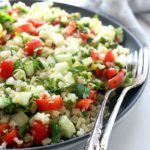 It sweetens the flavors and gives the cauliflower a "nutty" taste with lots of texture.